We designed this unit with stone to match the customer’s pool. The kitchen also features deluxe appliances like an AOG grill and a U-line fridge. 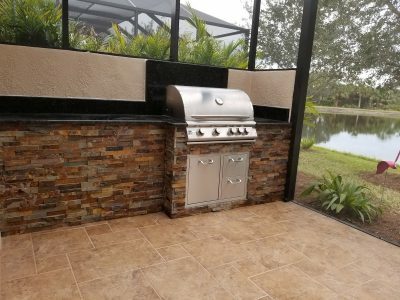 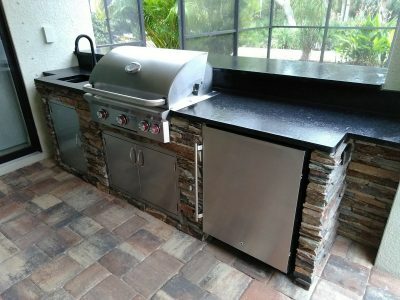 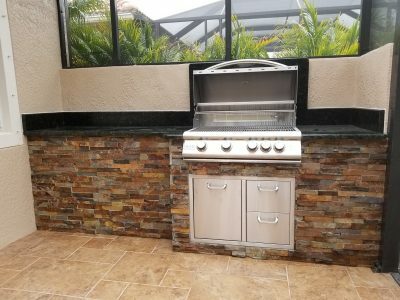 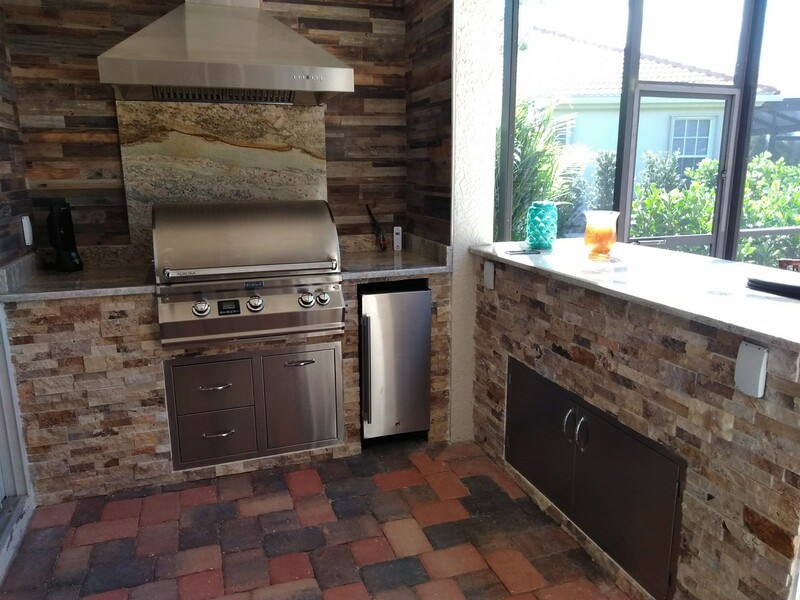 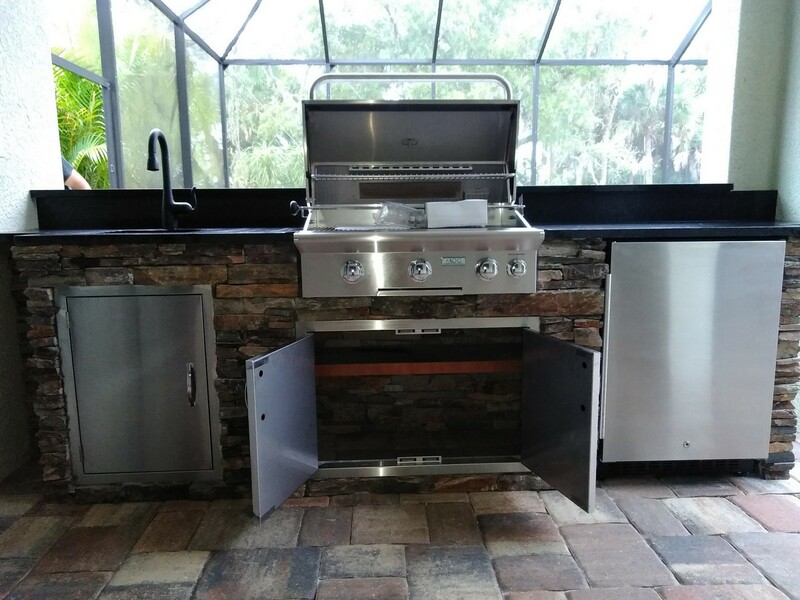 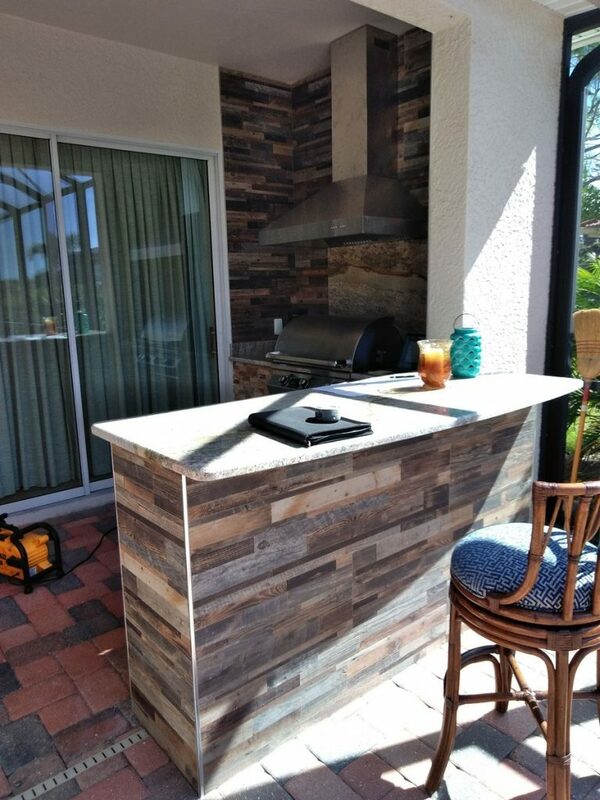 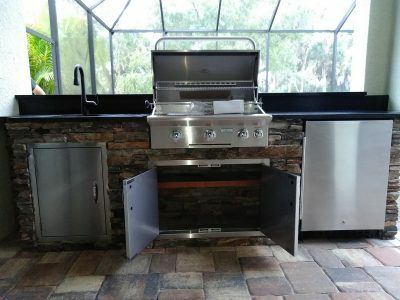 This unit features a Firemagic Aurora grill, Summit fridge and a custom Travertine face. The face of the bar area is covered with wood look tile. Complete with granite countertops and a stylish stone facade.